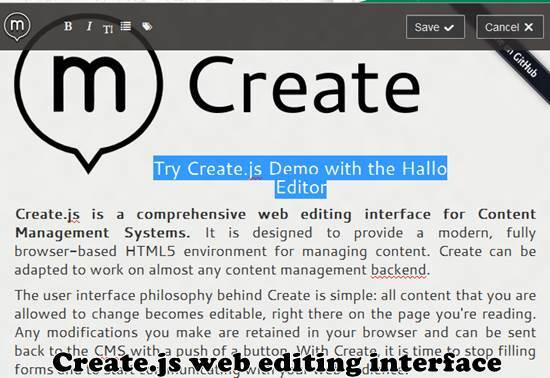 Create.js is an easy to use, free yet comprehensive web editing interface for Content Management Systems. The User interface of Create.js is mainly focus on simplicity and allow you to edit your site content directly from the page you’re reading. Any modification done by user stored in browser and then send to CMS instantly with One click. Browser-based HTML5 environment for managing content.